While both of these awards recognize significant achievements by several members of the Metric Theory team, they are also a testament to the extraordinary digital talent that our collective agency brings to the table to drive growth for every one of our clients. 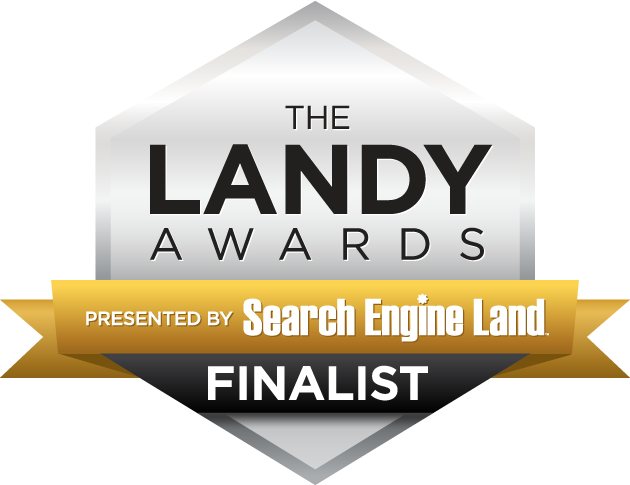 Metric Theory won Landy Awards in two categories: Search Marketer of the Year – Female and Best Enterprise SEM Initiative – B2B. Search Marketer of the Year – Female was awarded to Genevieve Head-Gordon, Director of Account Services. During her career in digital marketing, Genevieve has driven outstanding SEM results for a wide variety of major advertisers. From publicly-traded technology companies to large retail brands, she has consistently accelerated the growth trajectory for each of her clients. For a retail brand, she increased revenue nearly 25% over the previous year, while also improving ROAS by 19% for the same period. For one technology company, she more than doubled enterprise leads YoY, while cost per lead fell from over $200 to nearly $50 over the same period. Genevieve significantly increased enterprise leads for a large B2B advertiser while simultaneously lowering the cost per enterprise lead. Genevieve is also an instrumental leader in Metric Theory’s Account Services team. As the founder of our New York City office, she has grown that office exponentially in just a few years. As a testament to Genevieve’s tremendous management and coaching skills, Account Managers managed directly by Genevieve average a 90% client retention rate. Metric Theory’s ServiceMax team, led by Senior Account Manager Geneva Mueller, received the award for Best Enterprise SEM Initiative – B2B, after increasing leads by 231%, and growing qualified leads by 536% year-over-year. As a result, average monthly pipeline revenue for ServiceMax increased by 108%. Metric Theory’s team drove these results by integrating qualified lead data directly into our optimization efforts so that we could grow not just lead volume, but qualified leads and pipeline revenue. By optimizing their marketing initiatives with this data, Metric Theory implemented an account-based marketing strategy to understand the most important client company profiles for ServiceMax. We then implemented targeting to ensure that our ads showed to the most relevant potential customers. The immense growth in not just leads, but qualified leads and pipeline revenue, helped ServiceMax hit their aggressive 2017 growth targets. We are incredibly proud of both Genevieve and the team responsible for the fantastic growth of ServiceMax. The impacts they have made on our clients’ digital growth and our employees’ careers are truly impressive and these awards could not be more well deserved.